This class will explore a wide range of concepts applicable to personal adornment and the narrative object. Working with traditional and alternative material – silver, copper, wire, recycled materials, found objects – participants will fashion objects of personal importance, expression, and adornment. We will also investigate the use of color and collage as a design tool. Through demonstrations, lectures, and hands-on projects, we’ll discover the methods of selection, integration, and assembly inherent to this limitless range of materials. The class will be centered around lectures and demonstrations with plenty of time for individual attention. Basic skills required: sawing, filing, and soldering. Born September 30, 1938 in Topeka, Kansas, Bob received his BFA in 1960, and his MFA in 1962. Following graduation, he received a Fulbright Fellowship to study at the State School of Applied Arts and Crafts in Norway. He has taught at the University of Georgia (1967-71) and State University of New York at New Paltz (1971-88). In 1995, he was awarded the American Craft Council Fellowship for his achievement in the crafts and commitment to the craft movement. Bob is co-founder and past president of the Society of North American Goldsmiths (SNAG) and is represented in many worldwide collections, including the Metropolitan Museum of New York, The Victoria and Albert Museum (England), the British Museum, The Museum of Fine Arts in Houston, the Museum of Fine Arts in Boston, and the Mint Museum of Craft Design in Charlotte, N.C., Le Musee des Arts Decoratifs de Montreal, the National Museum of Wales, the Schmuck Museum, Pforzheim, Germany, the Museum of Art and Design in New York, and the Yale University Art Gallery in New Haven, to name a few. He currently serves as the Belk Distinguished Professor in the Arts at the East Carolina University in Greenville, North Carolina. He was awarded the North Carolina Governor’s Award for Fine Arts in 2010, the state’s highest honor. He also currently holds Guest Professorship status at the University of the West of England in Bristol, UK. The jewelry of Robert Ebendorf, A Retrospective of Forty Years, is now on display at the Racine Art Museum, Racine, Wisconsin. The Smithsonian institution invited him to participate in its Archives of American Art Oral History Program. For the past twenty-five years I have been re-employing existing materials by devising ingenious uses for what has heretofore been discarded, discovering ways to make new materials from the used. My conceptual approach to jewelry-making, which questions the nature of adornment itself, explores alternative concepts and materials. 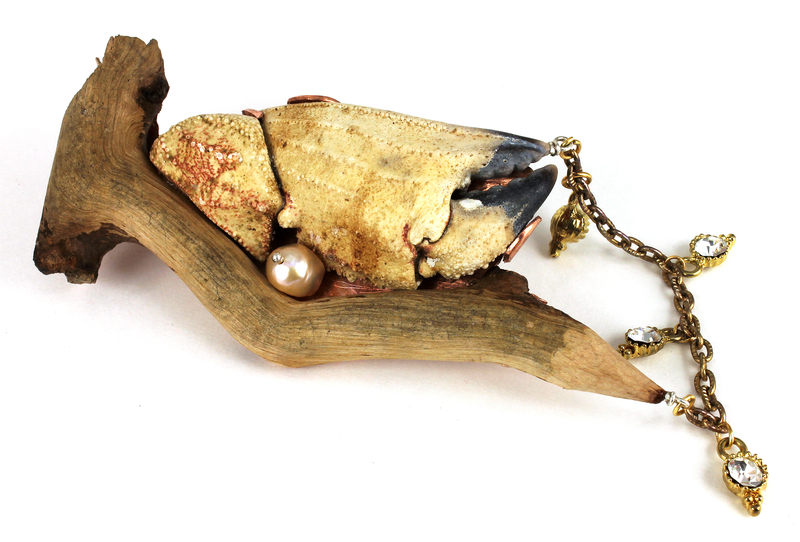 The creativity of my jewelry lies not simply in the intellectual repositioning of familiar objects, but in more physical transformations of material, that, in the end, astonish the viewer. My objects are not simply about refashioning the mundane. They reaffirm the value of that which otherwise might be without value. By reassessing the meaning of artifacts of daily life, they often reverse the idea of what is precious.